Planning to start your holiday shopping, support local geek businesses, or just take advantage of some amazing deals this weekend? Well, we’ve done all the legwork for you and are happy to provide your ultimate Minnesota geek guide to Black Friday and Small Business Saturday! We’ve arranged all of the businesses into categories and featured what sorts of bargains and events they’re offering this year right under their address, complete with a Google Maps link to make life easy. All of the awesome stores below are hosting 2018 Twin Cities Geek Holiday Toy & Book Drive donation boxes! So why not take advantage of the deals to add to one of the boxes before you leave the store, and make someone’s holiday brighter? It feels really good to do good—we promise. Music geeks rejoice, because your favorite independent stores are really delivering with their specials and releases this year, including special Black Friday Record Store releases. Check ’em out! *Discount does not apply to tickets, tobacco, gift cards, Mix & Burn CDs, or any product already on sale priced, including Black Friday exclusives. All deals are available both online and in-store. Several in-store specials—stop in to check them out! Now is a great time to stock up on cosplay, craft, and art supplies from some awesome local businesses that will help you find exactly what you need—or something perfect for those special someones on your gift list! On Saturday, November 24, you can also meet the maker behind the lovely local hand-dyed Sunshine Yarn Fun. Katharine will be there all day with new yarns, fun bags, and a special #shopsmall yarn dyed just for the day. The Wet Paint Holiday Sale is in full effect on both days! Whether you’re shopping for your kids, your significant other(s), your siblings, your friends, or yourself, Minnesota’s wealth of local game, toy, and comics shops are sure to have what you need. You really don’t want to miss the amazing discounts so many of them are offering. 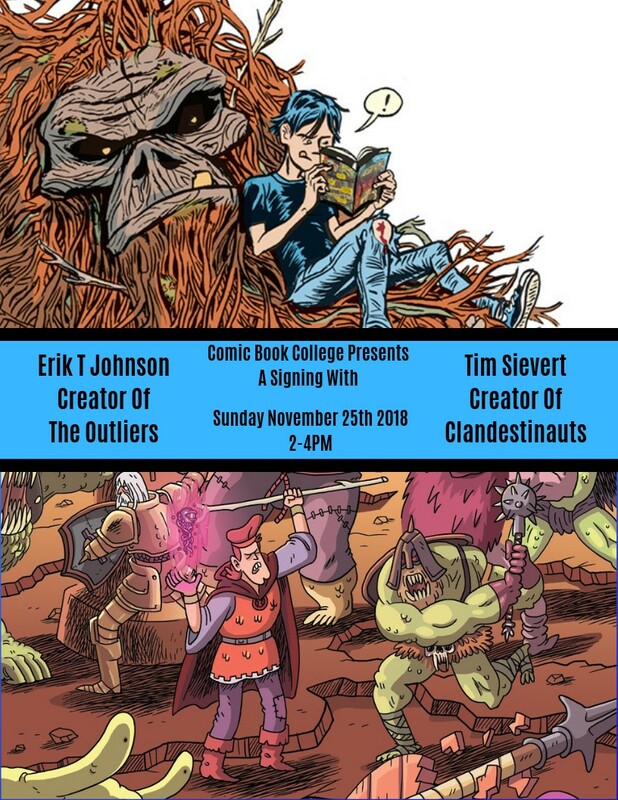 The store will also have a creator signing this weekend with Erik T. Johnson (The Outliers) and Tim Sievert (Clandestinauts) on Sunday, November 25, from 2:00 to 4:00 p.m.
Additional big discounts on select Games Workshop games! Deals available at all Hi-Score Games locations. *Excludes Slideshow and Hot Toys products. Additional restrictions may apply. 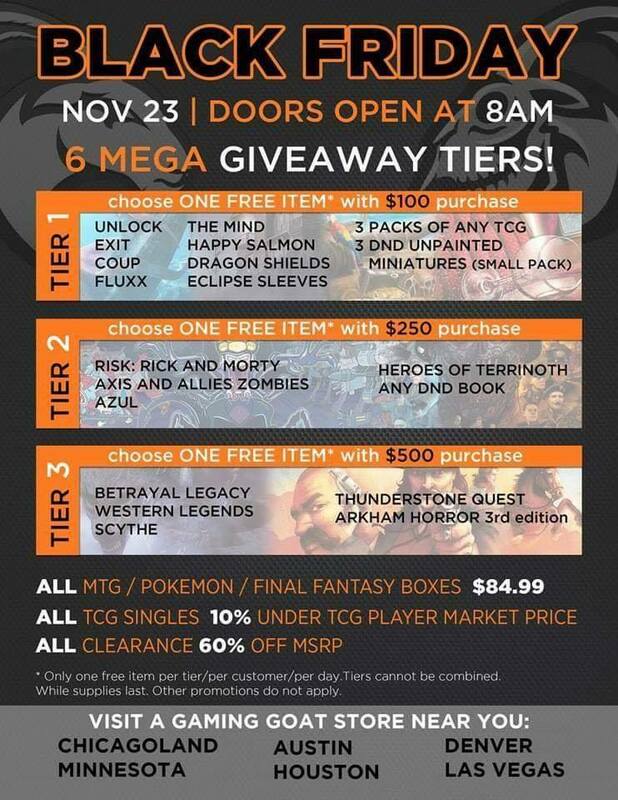 Discounts throughout the store for Black Friday through the weekend—stop in to check them out! New release shelves are not included in the sale. Hot cider and free cookies! 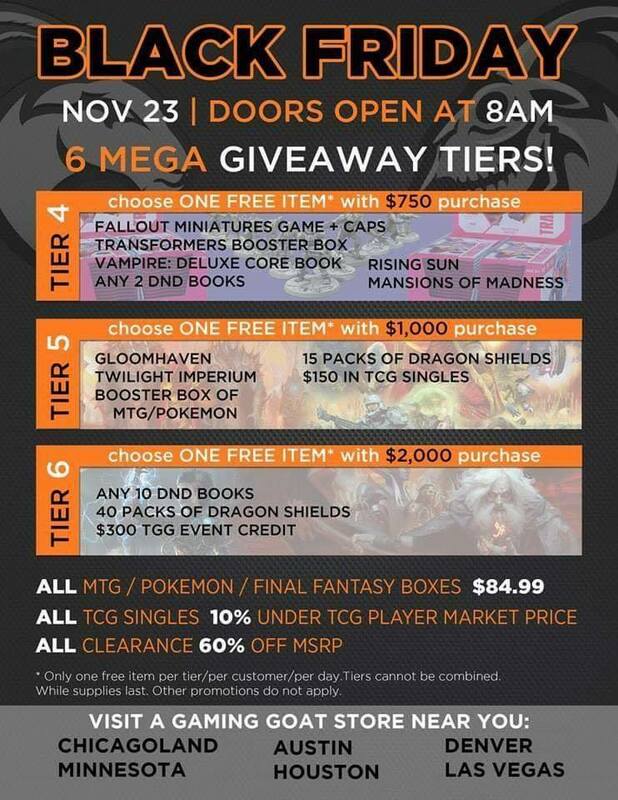 *Sale excludes Magic: The Gathering and Dungeons & Dragons products. **In store only. Free game must be of equal or lesser value. Buy 2, get 1 Free cannot be combined with 30% off sale. Whether you’re interested in a treat for yourself or for your upcoming holiday party, you can’t go wrong with these local geek-owned-and-operated establishments! Billy the Soda Jerk will be in the store for the long-awaited launch of Billy’s Bubble Pop! Don’t Forget the Holiday Drive! As mentioned above, all of the stores on this page are hosting donation boxes for the 2018 Twin Cities Geek Holiday Toy & Book Drive. Curious what kinds of items we are collecting in the Holiday Drive or what organizations we’re collecting for? Click here to find out! And if you do add a little something to a donation box, snap a selfie and share it on Twitter or Facebook with the hashtag #GiveTCG to spread the word! And finally . . . what would an ultimate geek shopping guide be without bookstores? Sorely lacking, that’s what. That is exactly why we have an entire separate guide just for Minnesota’s independent bookstores—and it is huge! Click here to check it out.